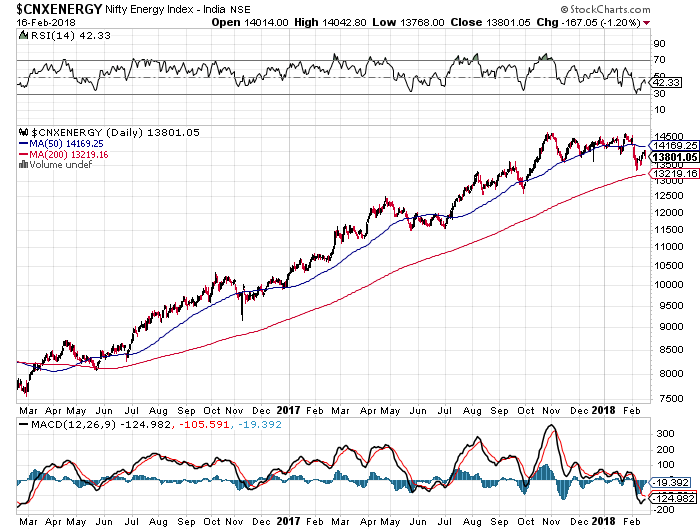 Nifty Energy is in a one way street since the start of Sep 2015. Almost 100% return in the Energy index since then. Since mid of Oct 2017 Energy index is consolidating in a broader band of 13750-14670 range. Momentum index is on a continuous decline in the last 4 months indicating lack of interest from the market participants. Lack of momentum inidcates long term serious money is missing in the last 4 months. Short Term resistance built around 14000 levels. 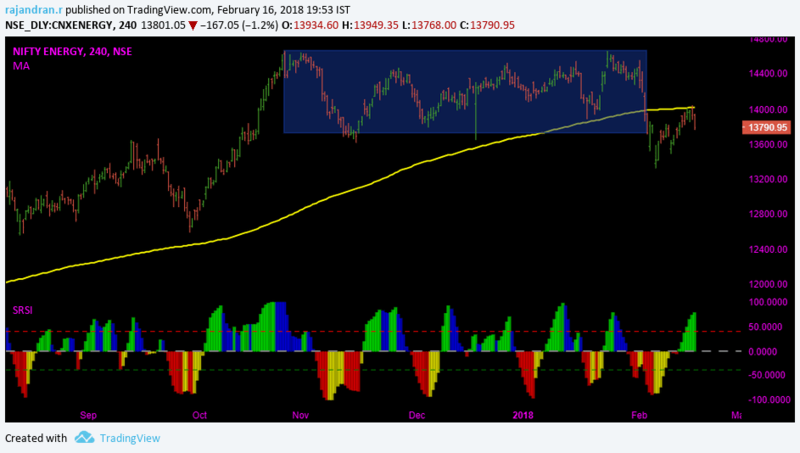 Nifty Energy index also forms a bearish outside bar on the daily timeframe. Though trading sentiments is holding positive, price maintaining below 14000 levels could potentially change the sentiment to negative. In a medium term one can expect 5-6 percent correction in this counter.